Are tire changes tiring you out? In the high performance world, tires changes are a regular occurance and can one of the more time consuming items of maintaining a track car when you are not using VAC Motorports Stud Bolts. 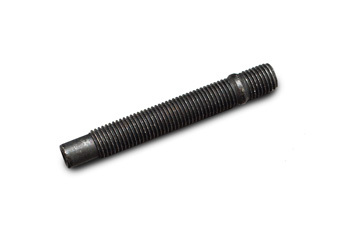 >VAC Motorsports High Performance Studs and nuts* are direct replacement items for your factory BMW lug bolts. Though many studs look the same, our studs are truly an exclusive product of VAC. The difference? Our studs are manufactured here in Philadelphia USA under the highest standards to ISO9001 QC by the thousands. Unlike the competition, we are manufactures and engineers; we know the exact needs from over 20 years of our own track & rally racing experience. Additionally, our countless racer customers world wide have contributed to the development. No long winded explanation needed: they meet the most stringent standards and specifications of all race bodys plus they are our own product, we pass savings on to the customer! Strength and functionality at an affordable price. These studs allow the use of spacers or wider wheels SAFELY. They are much more convenient than lug bolts, and they don't wear the wheel hubs out as the studs stay on the wheels Vs. lug bolts that stress threads every time they are screwed in. Please note: These are sold as INDIVIDUAL STUDS. Lug Nuts are sold separately. See our line up of Wheel Stud Kits for full sets of nuts and studs for your car.